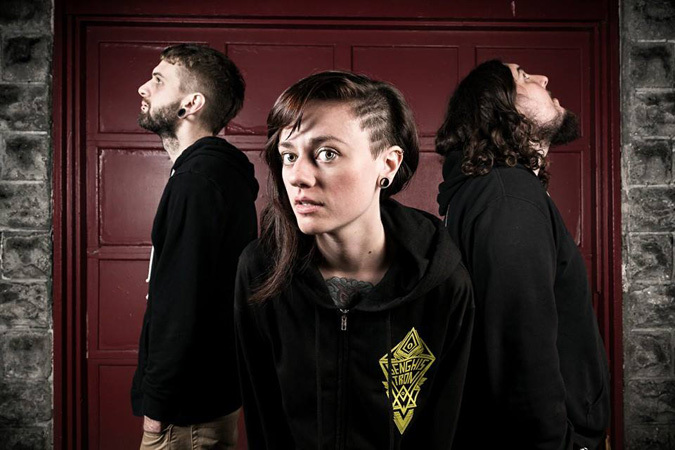 Madison, Wisconsin-based guitarist Sarah Longfield's career began as a YouTube phenomenon when, still in her teens, she began posting videos of herself covering works by All Shall Perish, Lamb of God and others. Over the next few years, covers led to original compositions and a growing fanbase, so Longfield eventually decided to put together a band to perform her music on tour. The result is The Fine Constant, a trio that utilizes a pair of eight-string guitars in lieu of bass. The band have released two albums of progressive metal instrumentals, including last year's "Woven In Light."